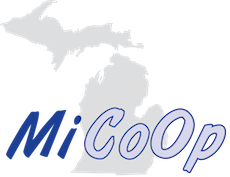 The Michigan CoOp is a network of school districts that are early adopters of successful, efficient, and effective learning models. Districts leverage each other’s strengths to create new opportunities for student learning and engagement. Cooperation and sharing of resources between districts allow each district to successfully offer their own unique program options for their students. Through collaboration, the MiCoOp can offer initiatives that districts could not accomplish on their own.